Alan was appointed Chairman of the Land Transport Authority on 1 April 2016. It is a statutory board under the Ministry of Transport and is responsible for planning, designing, building and maintaining Singapore’s land transport infrastructure and systems. He is also Chairman of the Singapore-China Foundation and SG HSR Pte Ltd. He is Dy Chairman of Pavilion Energy Group of Companies. He is a member of the Public Service Commission and a Board member of Ausnet Services, an Australian energy company. Alan retired as CEO of Singapore Press Holdings Ltd on 1 September 2017 after a stint of 15 years. He was also the Chairman of the Urban Redevelopment Authority and the Council that reviewed the Code of Corporate Governance in 2012. Prior to joining SPH, Alan was an Administrative Officer in the Civil Service. 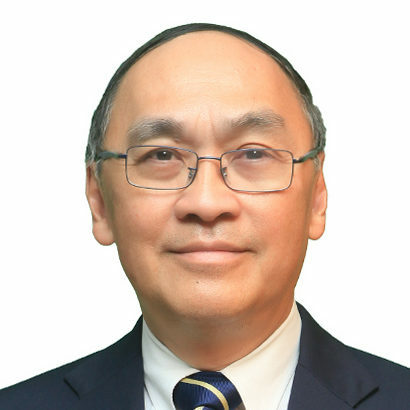 He has worked in the Government for 25 years and some of his previous appointments included Permanent Secretary of the Ministry of Transport, Deputy Secretary of the Ministry of Foreign Affairs, Principal Private Secretary to Senior Minister Lee Kuan Yew and Director of Manpower, Ministry of Defence. Alan holds a Diplome d’Ingenieur from the Ecole Nationale de l’Aviation Civile, France and MBA (with Distinction) from INSEAD, France. He is a President’s Scholar and was conferred the Public Administration Medal (Gold and Silver) and the Meritorious Service Medal for his contributions to public service. In 2009, he was selected by INSEAD as “one of 50 Alumni who changed the world”.